Has Mayor Cohen Slipped Already? 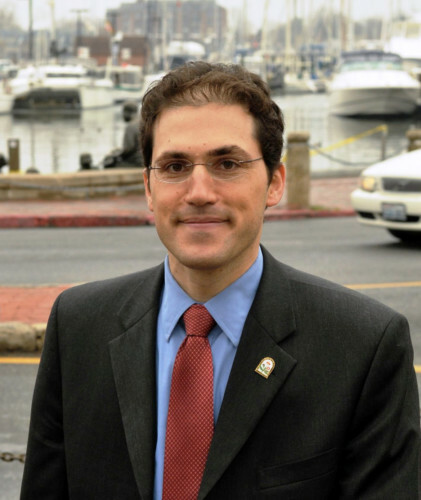 Three months ago, Annapolis Mayor Josh Cohen was on the campaign trail begging for votes. One of his biggest obstacles was the close ties he was perceived to have with former Mayor Ellen Moyer. After eight years, the citizens of Annapolis were clamoring for solid change at City Hall. Josh Cohen promised that he was the man who could affect that change. Here we are less than a week after he has taken office and questions are beginning to circulate around the City if there really is any change afoot, or if the voters may just have been swayed by smooth rhetoric. During the campaign, Cohen was vehemently opposed to the petition calling for a Council-Manager form of government. He felt that he needed to hire (and fire) the City Manager (or City Administrator) and have that person report solely to him. He claimed to see the benefits of hiring a “certified” manager holding credentials with the ICMA, and promised to do so upon taking office. He hired Doug Smith as the Chief Administrative Officer with a salary of $145,000. Doug was the force behind the petition and was championing the call for qualified and certified management. Doug is neither. Granted, he does have enormous business experience, but none in municipal government. And according to the ICMA, he is not even able to become listed as a candidate for certification for a year and will take three years (at minimum) to achieve full certification. In the meantime, City Administrator Bob Agee (a Moyer Appointee who actually does hold the certification) is still holding the title–and paycheck. And if Doug Smith is only temporary, the Mayor should let us know. According to a memo circulated to the Ward One Resident’s Association, Smith was hired as a “consultant” by the Mayor. This was a common tactic in the Moyer years and takes the City Council out of the picture and allows no voice to the citizens as to who is running the City. One has to wonder if there was $145,000 in the budget for consultants. The Mayor’s longtime aide, Gail Smith was also hired as Director of Services. This is a new position and to date, the details of this $75,000 position are unclear. We already have a Director of Central Services and presumably this will not replace that position. Certainly Gail has the qualities we want at City Hall and is likely deserving of some position in the Administration, but is the creation of a new well paid position the right answer in the current fiscal mess? Cohen also replaced Moyer’s City Attorney with Karen Hardwick and her Public Information Officer with Phill McGowan. Although former PIO, Rhonda Wardlaw is remaining with the City, she will not be the PIO. Other appointments include the re-appointment of Tim Elliott (Finance) and Kimla Millburn (Human Resources). And just this afternoon, he announced another new position for Lyn Farrow-Collins (a campaign worker) as a Grants Coordinator. Additionally, this afternoon he also appointed Hilary Raftovich (another campaign worker) as the Boards and Commissions Coordinator (replacing Jim Clark) and Jenelle Murph as Special Projects and Events Coordinator replacing the Moyer appointed Karen Engelke. While we are only a week into the administration, it appears that the only change affected by Cohen has been the termination of former City Attorney Steve Kling, Jim Clark and Karen Engelke. Yet, we have added four new positions to the payroll. Can the City (voters) afford this? For how long? These are in addition to the significantly increased salaries the new Mayor and Council are receiving. The fact that most of these new appointments seem to be campaign workers does not seem to indicate that cronyism has indeed left the building. Josh Cohen, the Candidate, called for swift and drastic change in City Hall; Josh Cohen, the Mayor, seems a little slow out of the gate.